February 14, 2016 – ST Aerospace has opened a 2,690sqm VIP aircraft interiors center at the Seletar Aerospace Park in Singapore. With this new facility, the company intends to bring its VIP luxury cabin interior design, engineering, installation and maintenance services to the region, serving customers from across Asia Pacific and the Middle East. 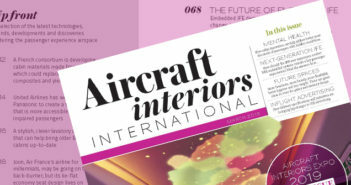 A core team of 70 engineers and craftsmen will work at the center, designing, upholstering and fabricating cabin interiors, as well as providing maintenance for narrow-body VIP aircraft, including Boeing Business Jets (BBJ) and Airbus Corporate Jets (ACJ), while conceptual design and certification continue to be supported by its VIP interiors team in San Antonio, USA, where all the Singapore-based engineers and craftsmen receive skills training. 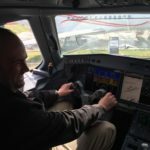 The design team will adopt a consultative design process, allowing customers to customize each design element of an aircraft, down to the smallest details such as wood grain, fabric, decorative features, and even the upholstery stitching. To facilitate this approach, the center is equipped with 3D rendering and 3D printing tools to help visualize the interior of an aircraft, through to scale models. The facility is off to a good start, with ST Aerospace reporting that it has secured five major refurbishment and maintenance contracts, of which two projects, involving an A319 ACJ and a Boeing 737 BBJ, will take place in Singapore.